Cardiff is the first city in Wales to take part in Unicef UK’s national Child Rights Partners programme. Between now and 2020, the local authority, including all of its delivery partners, are working in partnership with Unicef towards being recognized by Unicef UK as a Child Friendly City. 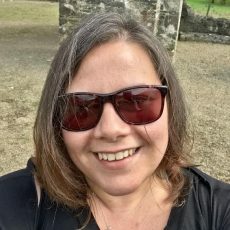 In this blog Sue Lyle of Dialogue Exchange and Peter Anderson of VocalEyes talk about their work with Cardiff LA in their bid to become a Child Friendly City. Respect for the views of CYP will come from adults’ genuine desire to listen to them. It is therefore important to provide opportunities for them to express their views and know that their ideas will inform the planning of services and decision-making. Currently opportunities to influence matters come through different representative groups. 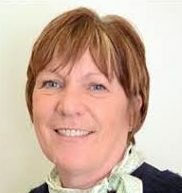 All schools for example, have a school council consisting of elected members of the school community. Representative hearing is necessary, but not sufficient on its own. 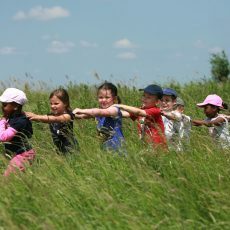 The challenge in becoming a CfC is to provide opportunities for every child in Cardiff to participate. 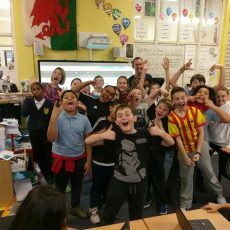 We are therefore delighted that Cardiff local authority has decided to introduce participatory democracy through VocalEyes to all schools. This means every child will have genuine access to decision-makers and a chance to influence the development of Cardiff as a CfC. School is the primary place where CYP receive services just for them. It is therefore important that Pupil Voice is heard. 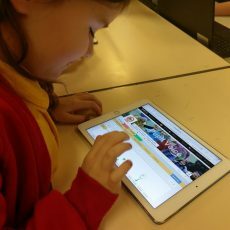 The VocalEyes platform for Pupil Voice has been piloted in Lansdowne Primary and Cathays High School. 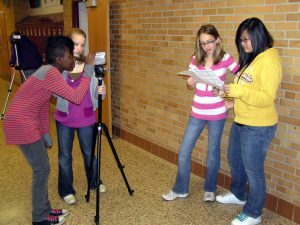 Through the platform any member of the school can suggest ideas for school improvement. Everyone in the school gets to rate and debate each suggestion in order to prioritise ideas for action. In Lansdowne children identified improving their Victorian school playground as a top priority. 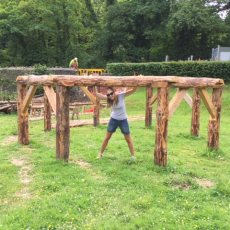 Ideas for making the concrete playground more child-friendly include putting in a drinking fountain, painting the walls, astro-turf for the football area, a trampoline area and a shelter from bad weather. Turning these prioritised ideas into action means organising into teams that can work with the head teacher and governors to assess feasibility and identify which ideas can be taken forward. 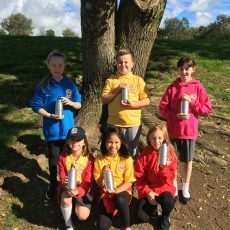 As well as participatory democracy, Dialogue Exchange and Hushland Creative has worked with 10 primary schools using Philosophy for Children and other Creative approaches to facilitate consultation. The young showed great interest in the provision and use of parks, open spaces and sports facilities in the city. Transport and opportunities for bicycling were widely identified as important. How shopping centres cater for CYP was a topic of great interest to them. 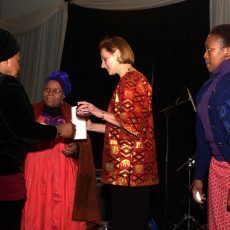 Strong family and peer relationships were emphasised. Safety in the city and freedom from bullying in school were highly rated ideas. A desire to feel welcomed by adults in the city was strongly expressed. 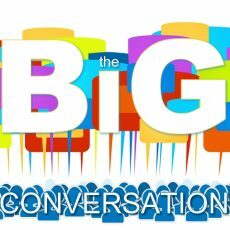 These creative enquiry approaches to investigating CYP’s opinions and experiences of public spaces and their use were then fed into the VocalEyes CfC platform for wider groups of children to rate and prioritise. Identifying and prioritising ideas is however, just the beginning. In Cathays the CYP are now engaged in Community Reporting, with help from The Sprout, by making short videos about their ideas to be embedded in the VocalEyes platform. 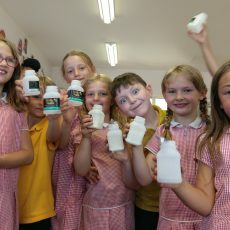 In Lansdowne the children are researching how they can become a plastic-free school – another highly rated idea. 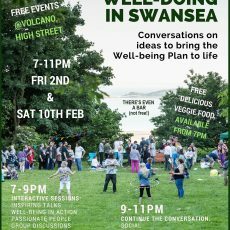 New ideas will be seeded into the site and will help to gain support and commitment from others on the ground to turn them into action. 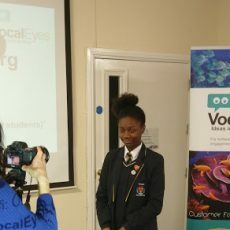 The pilot schools demonstrated to the LA that VocalEyes offers a means to consult with all CYP in the city and the job of rolling it out to all schools is now starting. 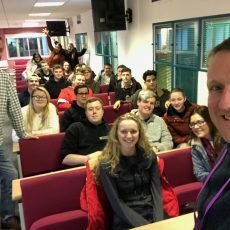 The next challenge will be to take the CYP’s ideas and priorities about what kind of facilities and spaces they want into the planning and decision-making arenas and get the chance to shape the city to make it more child-friendly. 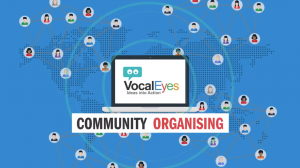 Unlike many consultation processes, VocalEyes is not a one-off event. It ensures continuous interaction and dialogue between children and decision-makers across the city on a regular basis. 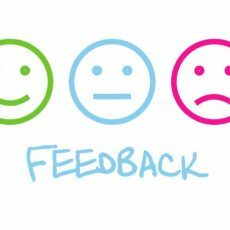 In schools the pupil voice platform will build children’s confidence that their opinions are important and are valued. 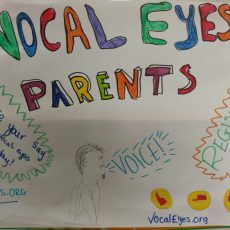 The CYP involved so far tell us VocalEyes is enjoyable and motivating. In Cathays a desire to be involved in civic matters is reflected in the following idea one student put into the VocalEyes CfC platform. “Children should have the option to get involved in politics as when they get older that will help choose the fate of the country. Through participating in the VocalEyes site the CYP can learn about and exercise democracy and citizenship. The key message of the UN Convention on the Rights of the Child is the intrinsic value of children and childhood. Children and youth are not only important as future adults and taxpayers, but as individuals and citizens of today. 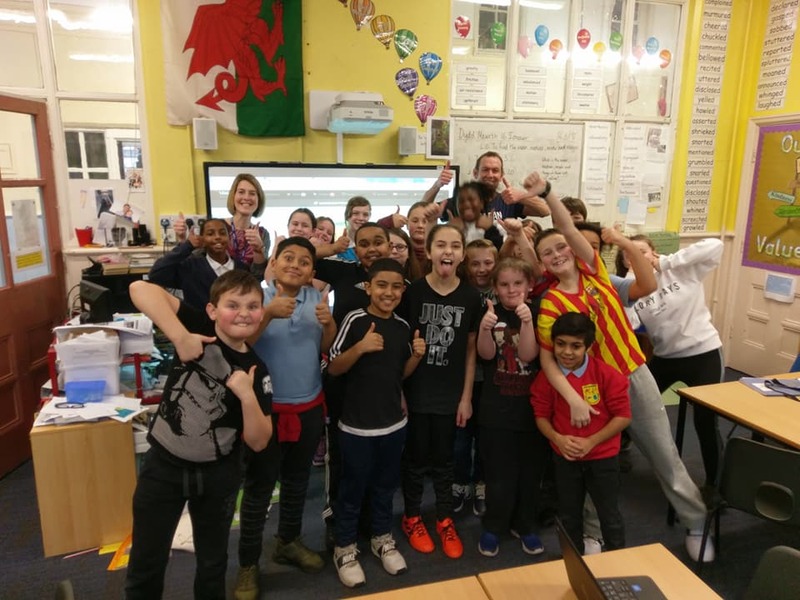 As Cardiff moves towards becoming a CfC, led by the Cardiff Youth Council, their commitment to participatory democracy will help children feel like genuine members of the city whose experiences and views are important. 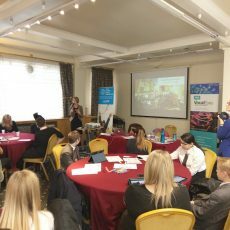 On 25th Sept, we ran a training workshop with 30 schools in Cardiff exploring how they can embed participatory democracy into Pupil Voice, focusing not just on wider pupil engagement but actions, tangible outcomes and positive impact. 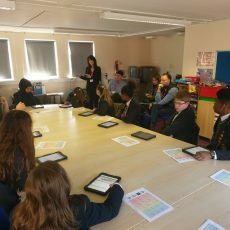 We also explored how these digital and dialogic tools could integrate with and help deliver on other frameworks and requirements within the school such as the Pupil Voice, Parent Voice, Digital Competence Framework, Rights Respecting Schools, Philosophy for Children, Estyn requirements, political and democratic education, Donaldson, Unicef initiatives, Youth Parliament, leadership training, primary to secondary transition and wider community engagement.